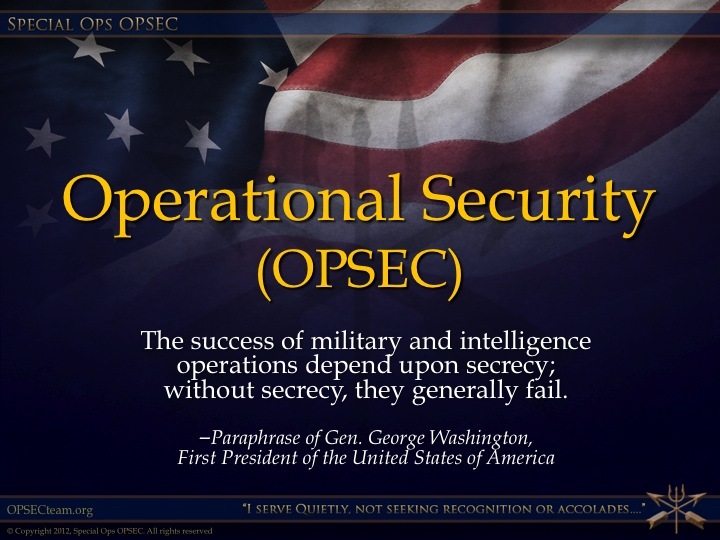 As a Defense Department civilian administrative officer for a DoD command in Philadelphia, I oversaw our various security programs, which included OPSEC. 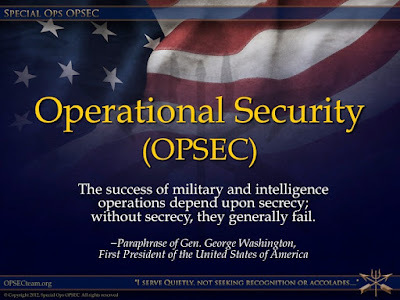 I was an OPSEC instructor as well. 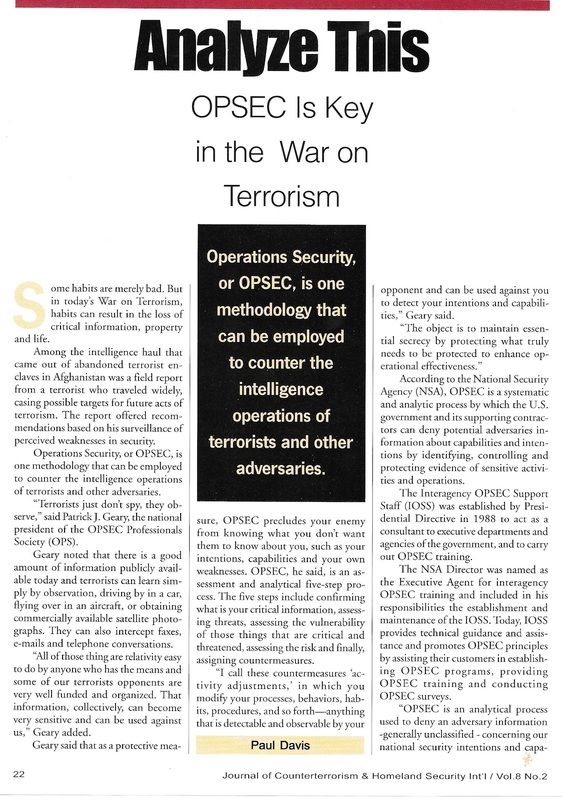 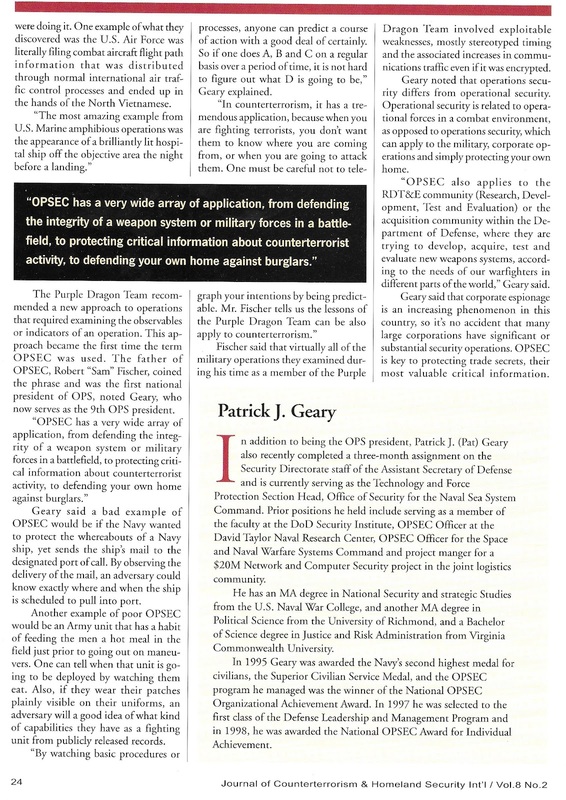 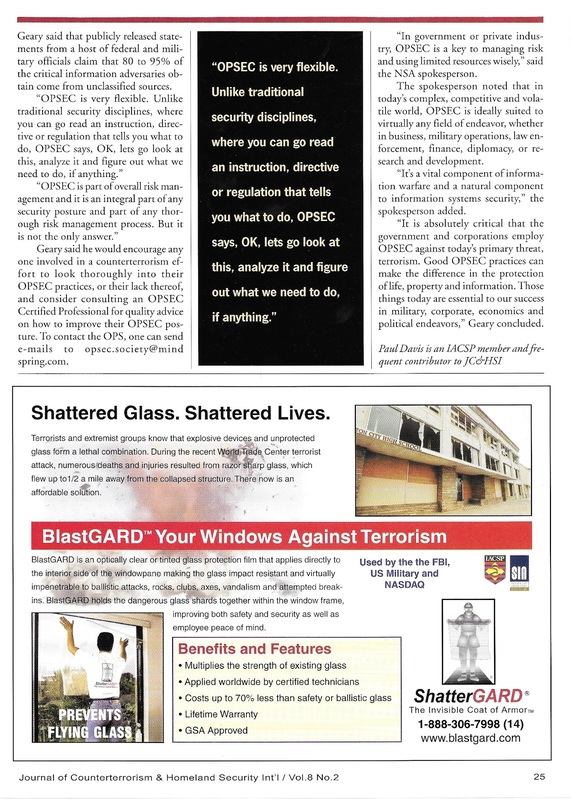 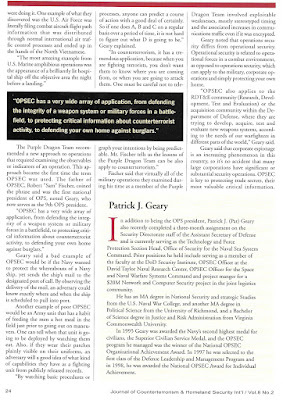 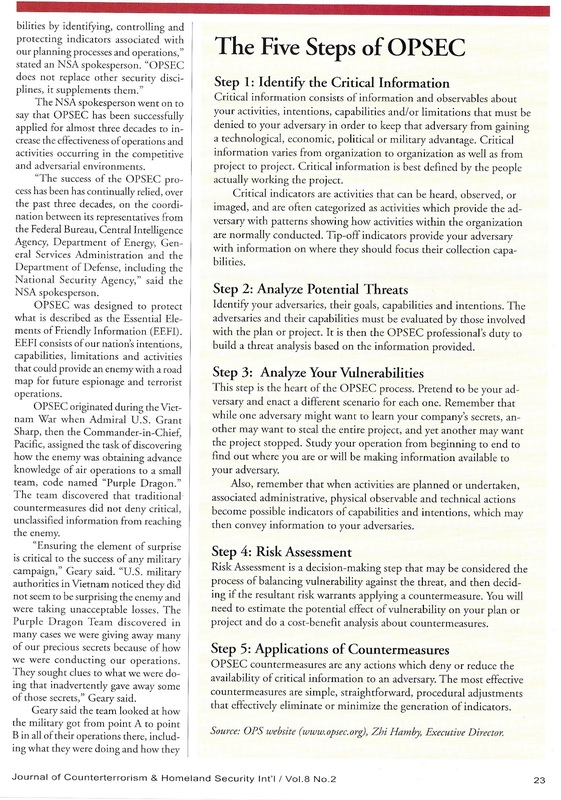 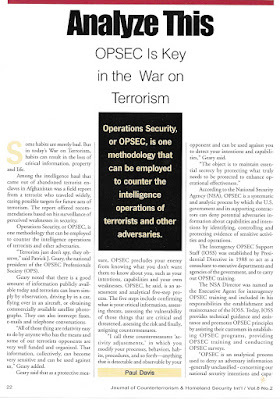 I later wrote a piece on OPSEC for Counterterrorism magazine.